Vyacheslav A. Duke, Scientific director of Deep Patterns made a presentation «Logical methods of machine learning» during «Transportation problem and transport facilities» session held in House of scientists on January 16, 2019. Overall picture of modern machine learning methods which are normally taken as important part of artificial intelligence systems was given in the first part of the presentation. It was noted that there is no clear interpretation for significant amount of such methods. Among them are discriminant analysis (with heterogenous data sets), neural network approach, nearest neighbors method, support vector machines etc. Machine learning practice of the last decade shown that such a requirement as interpretability of the results became a secondary issue. The accent moved to stability of obtained models. This trend brought up ensemble approaches where hundreds or even thousands of models built by different methods and algorithms are combined to form a solution. It appeared that such committees (often built with boosting, bagging, method of random subspaces and stacking) of even «weak» algorithms can show same or even better accuracy as isolated so-called «strong» algorithms aimed at finding deep consistent patterns in data arrays. This tendency was, in particular, reflected by publication in New York Times, posted on November 13, 2017, where the list of modern technologies that will change the world is headed by artificial intelligence methods in healthcare context. At the same time the accent in this article is made to perspectives of deep learning neural networks, mainly basing on effectiveness of this approach in visual pattern recognition tasks. This view of artificial intelligence misses the fact that many of medical diagnostics problems require not only formal result like diagnostic model accuracy but also result explanation, result interpretability. The neural network approach is not the only one that misses interpretability requirement. Many of other modern artificial intelligence methods are based on building big ensembles of «weak» algorithms implementing so-called «swarm intelligence» and producing «black box» models that don’t contribute much to understanding the essence of diagnostic and prognostic decisions. Thus, significant changes are happened in machine learning world during the last decade. Discovering «strong» methods and algorithms is no more attractive for most of the machine learning professionals — their interest now moved to using big ensembles of «weak» methods and algorithms on big data. This trend in machine learning must be analyzed separately. Here we deal with obvious deviation from basic machine learning ideals associated with extracting knowledge from data but not building «black box» models. At the same time the problem of building «strong» models is still actual. It’s obvious, that strong models are more suitable for interpretation and can be combined into less bulky collections to achieve effective results on classification and prognosis tasks. Special value in this field belongs to logical analysis methods that reflect interconnections in data in terms of «if-then» rules allowing extraction and understanding the essence of the built models. Regular polls among data scientists conducted by KDnuggets portal (www.kdnuggets.com) show stable popularity of logical methods of data mining. Results of these polls show that modern data mining software tools use wide spectrum of different procedures and special instruments for building and tuning big ensembles of decision rules. But at the same time the logical data analysis methods are still in top 3 approaches which are far ahead of others in terms of usage frequency. In the next part of the presentation prof. V. Duke described characteristics of most commonly used methods of finding logical rules in data — decision (classification) trees — and shown that these methods can give reliable solutions only for simple data structures. Another popular approach to building logical rule, reviewed in the presentation is selection of binary features (elementary predicates) which is implemented in practice as procedures of limited search in the set of these elementary predicates. Special attention was paid to evolutionary approach (genetic algorithms mainly). The emphasis in the presentation was placed on achievements of Deep Patterns, LLC, promoting innovative SRMD technology (Structural Resonance in Multidimensional Data) having no analogs worldwide. The SRMD technology is based on author’s concept of context-dependent local metrics and effect of structural resonance in multidimensional data. SRMD brings special value to areas described by complexity of systematic relations where traditional machine learning methods fail to give reliable results. 1. Accuracy — Deep Data Diver shows much better accuracy in areas with highly complex interrelations (bioinformatics, healthcare, chemometrics). This is reflected by significant growth of AUC[CROC] metric (area under the curve). 2. Computational complexity for algorithms used in Deep Data Diver — O(PN), where P — number of objects properties, N — number of objects in data matrix. 3. Result interpretability — Deep Data Diver finds in multidimensional data so-called «strong» (most complete for given accuracy) logical rules which allow significantly better interpretation. At the end of the presentation were given some examples of solutions for practical tasks from different areas including transportation problems, finding long associative chains in data, et cetera. 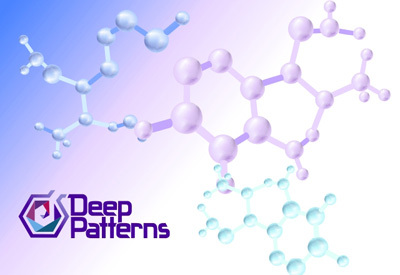 At the end of July, the Deep Patterns LLC has celebrated its second anniversary. It’s a good practice to sum up achievements to these dates, build plans and we will follow this tradition. In period from July 2015 to July 2016 the Deep Patterns LLC took part in many activities expressed in details in our news column. In October 2015 by initiative of head of Saint Petersburg branch of Motorola Solutions we took part in negotiations with participation of Motorola Solutions CTO. Both sides agreed on great potential of cooperative development of innovative approaches to Data Science in BigData and IoT (Internet Of Things) fields. In December 2015, as it has already mentioned in our news feed, our project „DP4SAR — innovative tool for discovering patterns in chemical structures and structure — activity relationships for directed drug design“ has successfully passed the Skolkovo Biomedical cluster (BMT) expertise. Thus since December 2015 Deep Patterns LLC is participant of two Skolkovo clusters — Information Technologies (IT) and Biomedical Technologies (BMT). This reflects the strategic technological trend of XXI century — BioInfoCognito (BIC), which incorporates biotechnologies, information and cognitive technologies. At the beginning of the 2016 our company has received the grant by START program of Bortnik foundation. This funding is aimed at development of Deep Data Diver software implementing the technology of discovering deep interrelations in multidimensional data based on the information structural resonance effect. During the last year the Deep Patterns LLC also took part in 2 contests. The first one was arranged by BMT and IT clusters of Skolkovo foundation and aimed at problems of Big Data in biomedicine. Our project „DP4SAR — the innovative virtual screening software for directed drug design“ passed the expertise and became one of finalists of the competition. Another contest was held by „Sberbank Insurance“, branch of Sberbank of Russia. Here we again became a finalist with our project „SRMD — an innovative Big Data analysis technology (Structural Resonance in Multidimensional Data)“ in „Machine Learning“ competition area. Challenges and possibilities of applying SRMD to business analysis in insurance area were discussed during the meeting attended by top management of „Sberbank Insurance“ and Deep Patterns CEO Andrei Konchakov on June 3, 2016. In July 2016 by initiative of Chinese company the Deep Patterns team have held a meeting with representative of Huawei Technologies Co. Ltd — one of the largest Chinese companies in IT and Communications. Wide area of fundamental theoretical and practical questions of modern Big Data analysis was discussed during the talks. Parties expressed satisfaction with contact and agreed on further cooperation roadmap. Our vision and plans remain unchanged — we are going to introduce Deep Data Diver software and commercialize its results in areas benefiting from discovering and analyzing of deep and hidden regularities in Big Data. We are on the way of finding potential investors and partners able to cooperate for introducing our technology into research and business fields in order to achieve our goals. On February 10 The granted funds will be used for development of Deep Data Diver software implementing the associative rules discovering technology based on the structural resonance effect in multidimensional data. At the moment company works for achieving private co-funding necessary for the project. Business negotiations concerning promotion and integration of the product into different industry fields are held with potential partners and investors. Further roadmap of product commercialization includes integration of Deep Data Diver software into industries benefitting from discovering hidden consistent patterns in big data. The most representative among such industries are bioinformatics and chemometrics (genome annotation, discovering structure-property relations) that suffer from high complexity of systemic interrelations. The product is also valuable in such fields as marketing, banking, CRM, medical diagnostics, telecommunications etc. Another project by Deep Patterns LLC has successfully passed the Skolkovo foundation expertise. This time the project named “DP4SAR — innovative tool for discovering patterns in chemical structures and structure — activity relationships for directed drug design” was introduced to Bio-Medical Technologies (BMT) cluster. The project is aimed at actual fundamental scientific and practical problem — discovering patterns in chemical structures and structure-activity relationships (SAR). Using mathematical methods for SAR analysis in pharmaceutical industry allows highlighting leading compounds with given properties in huge array of candidates by means of computing. This allows reducing risks for patients and significantly reduces costs and duration of development of a new medication. At the same time the application of known SAR mathematical methods often gives results that are not accurate enough because these methods are not always adequate to the structural complexity of analyzed objects (high dimensions, diverse nature of descriptive data, polymorphism of target properties). It is also common that SAR models have no good interpretation that restricts their applicability to directed drug design. In order to improve effectiveness of SAR problem solving our project implements the innovative technology DP4SAR (Deep Patterns for SAR) which is based on proprietary SRMD (Structural Resonance in Multidimensional Data) method. Outstanding ability of SRMD for discovering strong and complex logical associations in multidimensional data allows using known systems of chemical compound descriptors in a new way building accurate and interpretable SAR models. The main audience for the project results are companies involved into drug design and chemical compounds research activities. It includes consortiums with universities, small innovative companies in pharmaceutical and perfume and cosmetic industry. Our project can also be interesting for investors from BioTech companies, life science and big pharma. The Skolkovo foundation experts have given positive evaluation of the subject, innovativeness and potential of the DP4SAR project. 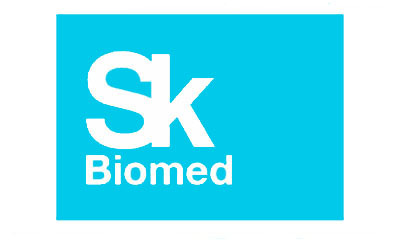 Since December 2015 Deep Patterns LLC becomes participant of 2 clusters of Skolkovo foundation — Information Technologies (IT) and Bio-Medical Technologies (BMT). This combination reflects the strategic technological tendency of the XXI century — BioInfoCognito (BIC), that unites biotechnologies with information and cognitive technologies. On October 8 the “Bio- and chemoinformatics in pharmaceutics” workshop was held during the St. Petersburg International Innovation Forum. Main topics of the discussion concerned requirements to modern drugs, theoretical approaches to drug design and ideas forming the background for new design methods utilizing modern information technologies. Advanced reports were presened by Elena Fedorova (CEO, “VVS Lab” LLC), dr. Vyacheslav Duke (chief scientist, “Deep Patterns” LLC) and Adnrei Khudoshin (head of chemo-biological department, Elsevier S&T). In his speech, Vyacheslav Duke made accent on problems and perspectives of methods aimed at creating predictive models for bioactivity of compounds and selection of leaders. It was highlighted that conventional data mining methods applied to SAR models rarely give accurate enough results because these methods are not always adequate to structural complexity of analyzed data (class polymorphism, structural asymmetry, high dimensions and diverse nature of data etc.) In addition, SAR models often have no direct interpretation that makes it impossible to use such models for directed drug design. The most adequate to the systemic complexity of biochemical objects are the methods finding the logical regularities in data. The problem is that all such methods are restricted in analysis depth because finding so-called “strong” logical rules in data is extreme combinatorial (NP-hard) problem. In his report V. Duke presented advantages of the DP4SAR software by DeepPatterns LLC on several examples. DP4SAR is based on the method of structural resonance in multidimensional data SRMD. This method shows significantly better accuracy and analysis depth than conventional machine learning methods that find logical relations in data. It’s also important that SRMD is highly scalable and ready for parallel computations that defines its success in Big Data field. Workshop attendees expressed a sincere interest to presented reports and took part in discussion of theoretical and practical aspects of applying methods of bio- and chemoinformatics for drug design. Participants has outlined ways for further cooperation. The “Best innovative project” award ceremony was held on October 7, 2015 during the joint meeting of the Presidiums of Union of Industrialists and Entrepreneurs of St. Petersburg and Regional Union of employers of Union of Industrialists and Entrepreneurs of St. Petersburg in “Expoforum” exhibition hall. Deep Patterns LLC was granted the “Best innovative project” award with its “DeepDataDiver software development implementing the technology of finding hidden patterns in multidimensional data using structural resonance effect” project. 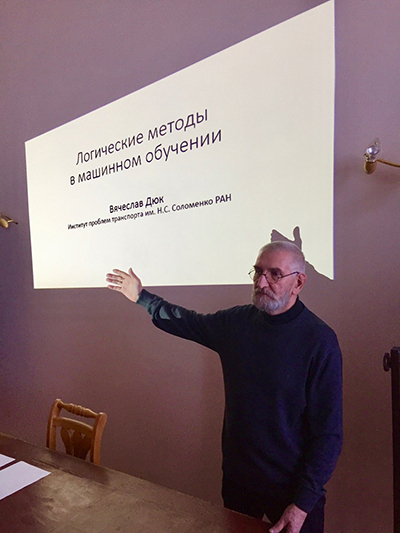 On April, 29 the “Current status and development perspectives of Russian hydrobionics” seminar was held on initiative of Perspective Research Foundation at the Saint Petersburg Institute for Informatics and Automation of the Russian Academy of Sciences (SPIIRAS). The main goal of the seminar was to form a cooperation of researchers and developers able to establish a basis for hydrobionical principles to be used for building the security and ecological monitoring system for sea areas in context of the “Hydrobioinformatics of the Future” project lead by Perspective Research Foundation. The seminar brought together representatives from such scientific and industrial organizations of Saint Petersburg and Moscow as SPIIRAS, State research institute for applied problems (GosNIIP), research institute for evolutionary physiology and biochemistry RAS, Saint Petersburg State University, Saint Petersburg Electrotechnical University (LETI), Military Educational-and-Research Centre Naval Academy, N. N. Andreyev Acoustic Institute, P. P. Shirshov Institute of Oceanology RAS, Central Design Bureau for Marine Engineering “Rubin”, Pavlov Institute of Physiology RAS, D. I. Mendeleev Institute of Metrology, Research and design Institute for biotechnical systems and others. — Modern trends in hydrobionics. — Current state of researches in hydrobionics in Russia. — Research and development perspectives for maritime robotics utilizing bionic models for security and ecological monitoring. — Studies of acoustic abilities of marine animals and fish as a basis for development of underwater communication devices. — Marine mammals as a part of biotechnical security systems for harbours, offshore facilities and sea areas. V. A. Duke made a presentation “Methods for discovering deep consistent patterns in multidimensional nonstationary signals” describing previous researches and current state in this area in context of hydrobioinformatics. Prof. Duke has made an accent on necessity of building a data storage based analytical system and presented the innovative data analysis technology for Big Data being developed by Deep Patterns company. Seminar attendees expressed an unanimous opinion about high actuality of “Hydrobioinformatics of the Future” project lead by Perspective Research Foundation, made an outline for building a project participants cooperation and adopted a resolution on necessity of intensive scientific researches and innovative technology development in the field of hydrobionics and hydrobioinformatics. On November 17-18, the annual international partnering forum “Life Sciences Invest. 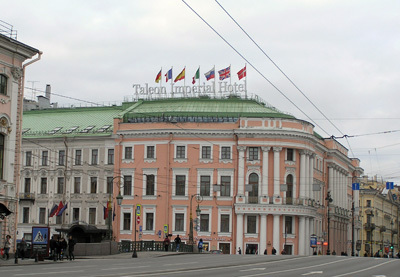 Partnering Russia” was held at “Taleon Imperial Hotel” in Saint-Petersburg. This event brought together main directions of the Life Science world — pharmacy, biotechnology, radiology and health care industry. The main goal of the forum was to contribute to federal initiative for pharmaceutical market development as one of the main economic growth drivers. The Forum, opened by Governor of Saint-Petersburg Georgy Poltavchenko, was attended by leading representatives of governmental, research and scientific institutions and large pharmaceutical companies. Deep Patterns founder and scientific director, prof. Vyacheslav Duke took part in the “Innovations in Pharmacy” workshop with his presentation “New Algorithms for Computer Aided Drug Design”. The main theme of the speech was fundamental scientific and practical problem of discovering relations between chemical structure of compounds and their activities ( SAR ) for targeted drug design. Prof. Duke gave an overview of main development directions and problems of data analysis methods applied to areas with high systemic complexity such as chemoinformatics and presented the new DP4SAR (Deep Patterns for SAR) project being developed by Deep Patterns LLC in cooperation with leading researchers from Saint-Petersburg State Chemical-Pharmaceutical Academy for biomedical cluster of “Skolkovo” foundation. The international partnering forum “Life Sciences Invest. Partnering Russia” was held by “Medical and pharmaceutical projects. XXI Century” non-commercial partnership. On November 17-18, the IV international “Life Sciences Invest. Partnering Russia” partnering forum will be held at Talion Imperial Hotel, Saint Petersburg. Prof. Vyacheslav Duke, founder and scientific director of Deep Patterns, LLC, became a member of the “Innovations in Pharmacy” section workshop presidium. This annual event conducted as live dialog became a regular platform for business communications and establishing new relations between representatives of pharmaceutical industry, authorities and business. The Forum organizers managed to gather highly representative array of decision makers to the event. — Arkady Nekrasov, Chairman of the Board of Directors, Petrovax Pharm. Schedule of plenary session includes opening ceremony for the reconstructed and technically upgraded educational building of the Chemical-Pharmaceutical Academy. It is also planned to discuss development perspectives of innovative drug design centers. The main session of the forum is devoted to problems of switching industry to GMP (Good Manufacturing Practice) standard — the system of standards, rules and instructions concerning manufacturing of drugs and medical equipment. Attendees will discuss vital problems of regulatory mechanisms, quality control and supervision related to GMP approach implementation. Among other topics the forum agenda includes wide area of questions related to current state and future trends of pharmaceutical, biomedical and healthcare markets. One of the latest approaches to SAR, QSAR and SPR discovering problems will be presented by prof. Vyacheslav Duke at “Innovations in Pharmacy” workshop in his “New Algorithms for Computer Aided Drug Design” paper, explaining perspectives of applying the innovative SRMD technology to this problem domain. The “Life Sciences Invest. 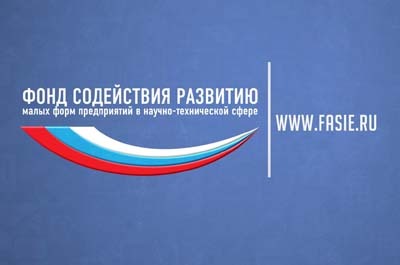 Partnering Russia” partnering forum is organized by “Medical and Pharmaceuticals projects. XXI Century” partnership. On October 30, the “Information technologies in medicine and healthcare” section of XIV international conference “Regional informatics 2014” was held by dr. Vyacheslav Duke, founder and scientific director of Deep Patterns, LLC. The section workshop was attended by Doctors, Magisters as well as graduate and post-graduate students in mathematics and medical sciences. — St. Petersburg Institute for Informatics and Automation of Russian Academy of Sciences. — Russian scientific centre of Radiology and Surgery of Ministry of Healthcare of the Russian Federation. — Pavlov First Saint Petersburg State Medical University. — Northern (Arctic) Federal University named after M. V. Lomonosov. — Saint Petersburg Electrotechnical Univercity “LETI” named after V. I. Ulianov (Lenin). — St. Petersburg Information and Analytical Centre. — Saint Petersburg State University of Aerospace Instrumentation. — The Bonch-Bruevich Saint Petersburg State University of Telecommunications. — Pavlov Institute of Physiology of Russian Academy of Sciences. 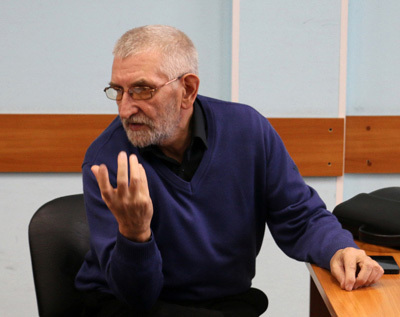 Opening the “Information technologies in Medicine and Healthcare” section workshop prof. Vyacheslav Duke emphasized the necessity of fundamental theoretical research in this field. 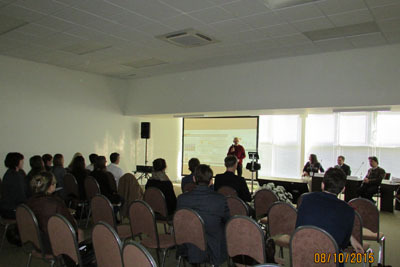 Attendees discussed actual questions and future trends of modern science of living systems. It was stated that data analysis and modeling for living systems require special approach and in-depth understanding of specifics of information processes describing such systems. Attendees came to conclusion that the most promising direction for IT in medicine is development and implementation of innovative approaches to multiaspect medical and biological data with respect to systemic complexity of targets for medical and biological studies. 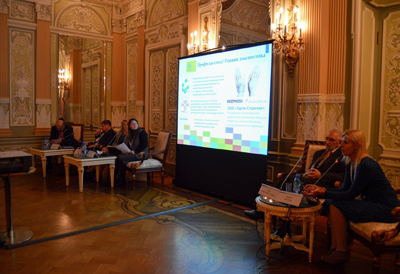 The XIV international conference “Regional informatics (RI-2014)” was held in Saint Petersburg with support of UNESCO, Government of St. Petersburg, Russian Academy of Sciences, Russian Academy of Education, the Ministry of Education and Science of the Russian Federation, Ministry of Communications and Mass Media of the Russian Federation and other organizations. 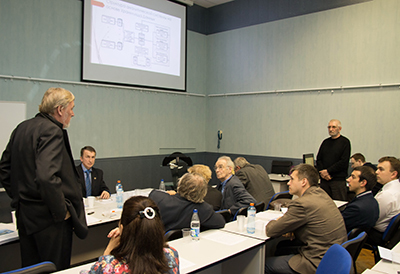 On October 6, 2014 the scientific management representatives of Saint-Petersburg State Chemical-Pharmaceutical Academy and Deep Patterns held a meeting discussing actual problems and development perspectives of computer-aided drug design industry. Тhe parties have agreed on partnership and decided to begin a cooperative work in this area. There’s a great and still growing demand in modern society for solving one of the most important and actual problems — the problem of discovering dependencies between the internal structure and different properties of substances. This set of tasks includes exploration of SAR (Structure — Activity Relationship), QSAR (Quantitative Structure — Activity Relationship), QSRP (Quantitative Structure — Property Relationship). Solving these problems allows prognosis for properties of new chemical compounds and makes able the directional molecular design of new compounds with desired properties (including the computer-aided drug design). During the meeting dr. Vyacheslav Duke (Deep Patterns) presented the SRMD technology explaining its abilities and advantages when applied to tasks of discovering “structure — property” relationships. Elena Fedorova (ph. d., head of research department, Saint-Petersburg State Chemical-Pharmaceutical Academy) noted the necessity of tight cooperation between chemists, biologists, mathematicians and software engineers for correct and effective solving SAR, QSAR and QSRP problems. The outcome of the meeting was the agreement on development of cooperative project within Skolkovo Foundation Biomedical Cluster. 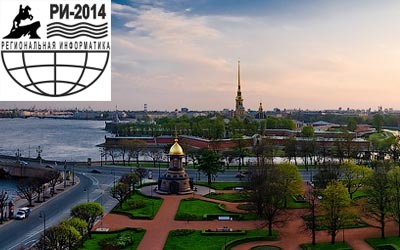 23.09.2014 The XIV international conference “Regional Informatics-2014” will be held on 29-31 of October in Saint-Petersburg. V. Duke, Deep Patterns founder and scientific director will attend the conference as head of “Information technologies in Health Care industry” section. The “RI-2014” program covers wide range of information technology applicability areas corresponding to different problem domains including economics, management, business, industry, health care, transportation, education and others. It’s planned to conduct section workshops allowing discussions of actual problems such as regional informatics policy, e-government, information security and information laws as well as sections lead by youth scientific schools. The event is supported by UNESCO, Saint-Petersburg City Government, Russian Academy of Science, Russian Academy of Education, Russian Ministry of Education and Science, Ministry of Communications and Mass Media of Russian Federation et al. Deep Patterns was presented at this event by Andrei Konchakov, CEO. The Forum topics concerned actual state and upcoming technology and business trends of Big Data industry. At the event SAP has presented it’s Startup Focus Program and modern enterprise software platform SAP HANA. According to Deep Patterns CEO Andrei Konchakov SAP HANA can make significant value on certain stages of Deep Patterns products life cycle. 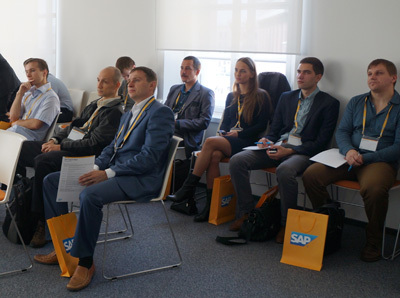 Some technical details concerning integration of SRMD technology into SAP HANA infrastructure were discussed by Andrei Konchakov and SAP Israel team members during the meeting. We are pleased to mention excellent Forum organization and want to thank SAP team for extensive information on SAP startup support program. Photos are presented by SAP Labs, CIS. 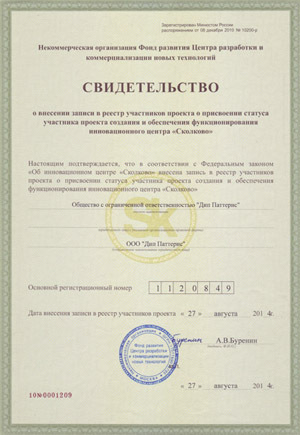 11.09.2014 Deep Patterns company has received the Skolkovo Foundation community participant certificate. Our project, aimed at implementation of Big Data to Knowledge innovative technology (BD2K) in series of commercial products has been approved by IT cluster of Skolkovo Foundation. Our unique Big Data analysis technology known as Structural Resonance in Multidimensional Data (SRMD) is developed by prof. V. Duke. It is based on proprietary concept of local context-sensitive metrics in multidimensional data and structural resonance effect. As a Skolkovo Community member our company is going to introduce a new implementation level of innovative SRMD technology relying on tremendous business acceleration resources, international communications and other benefits granted to Skolkovo project participants. We would like to congratulate all Deep Patterns employees on this remarkable event and thank the Skolkovo Foundation for their trust and support.